Alejandro González Iñárritu, Biutiful, 2010. Enjoying: As you watch this film, keep in mind the idea of death. Watch how virtually every scene develops the idea of a world in which humans negotiate their money-grubbing lives against a constant background of death. González Iñárritu and his screenwriter Guillermo Arriaga, the source of much in his first three brainy, features, had a noisy (and noisome) break-up. (Arriaga wanted more credit for his work.) With two new screenwriters (Armando Bo	and Nicolás Giacobone), González Iñárritu has marched off in a new, more psychological direction. The plotlines in his first three films spanned all the strata of society from highest to lowest and jumped across continents (in Babel). But Biutiful drives all its plotlines through one man, Uxbal, a petty criminal working the slums north of Barcelona. He is brilliantly acted by Javier Bardem, and this picture belongs to him. It was he who garnered most of the awards the film received as Best Actor—and rightly so. His massive head with its Greco-Roman nose and big, soulful eyes appears—as always with González Iñárritu, in extreme close-up—in virtually every scene of the film. He is on screen for two full hours at least, acting every human emotion you can think of: affection for his children, tortured love for his wife, hardboiled bargaining, smoldering rage when his children are abused, the agonized contemplation of his own dying, remorse and despair for the deaths he caused when he tried to save a few extra euros. It is a staggering performance. Bardem plays Uxbal, a small-time hustler on the streets of Barcelona. This Barcelona is a far cry from the postcard-pretty Barcelona of Woody Allen’s Vicky Cristina Barcelona (2008). Once, ever so briefly, we glimpse Gaudí's Sagrada Familia cathedral, and that’s it for the Barcelona we tourists know. This Barcelona is the slums north of the city proper (in every sense), slums packed tight with immigrants from all over the world scrambling to make a living anyhow, any way. Uxbal is working with a couple of heartless Chinese (a gay couple, interestingly) who have imported twenty-five of the wretchedly poor from China as, for all practical purposes, slaves. They sleep packed into a single basement room in a warehouse. Days, they work long hours to create knock-off handbags and movies. Uxbal works as the middleman. He sells the knock-offs to some Senegalese who peddle them on a ritzy shopping street, forbidden territory and who sell drugs as well (leading to their arrest and deportation). Alternatively, the Chinese bosses rent out their slaves to construction projects as cheap, if totally unskilled, labor. Again, Uxbal acts as middleman, along with his corrupt brother Tito. As part of all this, it is another part of Uxbal’s job to pay off a brutal cop to keep the Senegalese and Chinese out of jail. Uxbal has another racket: a clairvoyant, he talks to the recently dead and reports what they say to their grieving relatives, collecting money for his services. Another clairvoyant, a motherly mentor to him, Bea (Ana Wagener), reminds him that they received their gift freely and that therefore they should share it with others freely. But Uxbal is responding to his desperate need for money, and he collects what he can from the bereaved for his services. Money defines, limits, and corrupts every relationship in this film except those between parents and children (always for González Iñárritu the most important relation). Money, for example, drives the plan to build a mall over an above-ground cemetery where Uxbal’s father’s body rests in a niche. His two sons agree to have him removed and cremated—for a price. And Uxbal stares for a long, grisly scene at his father’s embalmed face, still largely intact. 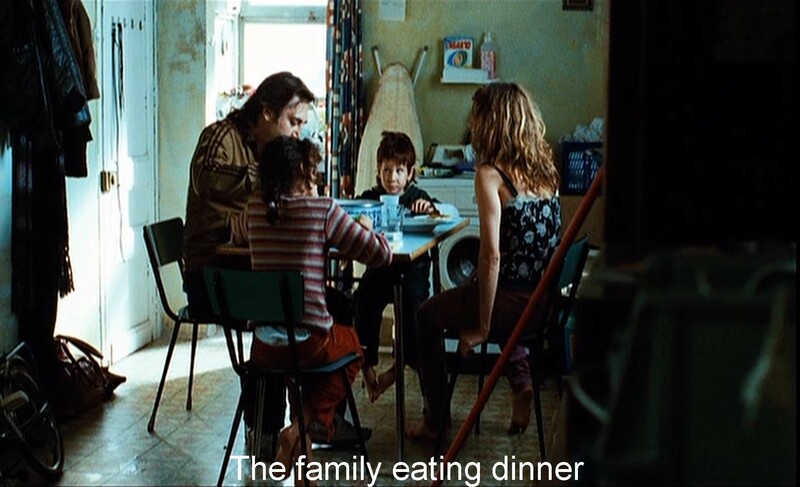 Perhaps the change in writers accounts for the second big change in González Iñárritu’s style in Biutiful. In his earlier films, the connections between the different plotlines may have seemed far-fetched, but a close look will show that they are all quite literal relations of cause-and-effect. But Biutiful introduces the supernatural, the inexplicable. Uxbal can see and hear the dead before they have “passed over” —and does. González Iñárritu, working yet again with his immensely talented cinematographer Rodrigo Prieto, shows the dead physically. We see boys in coffins in an early scene and later, Uxbal’s embalmed father. And we see Uxbal looking down at his own dead or dying body. Bookending the film, in the opening and closing scenes, Uxbal converses in a snowy woods (not, obviously, in Barcelona) with the dead father whom he never knew. The father’s physical presence as a smiling, young man contrasts the sublime world of a supernatural afterlife with the fleshy corpses we see elsewhere in the film, especially the father’s own embalmed body. Death is one theme that runs through this film, but it fairly bristles with González Iñárritu’s recurring concerns. Money, as I say, defines and limits and corrupts relationships in the film. Eating—there are many scenes of characters eating. 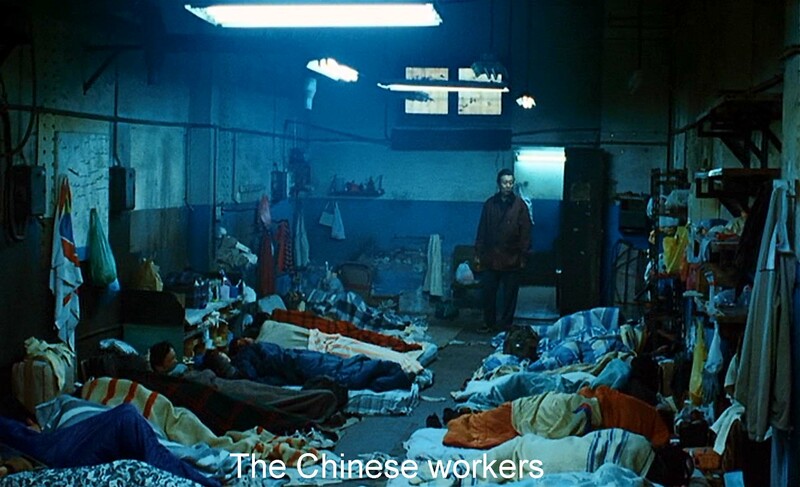 The wretched Chinese workers are offered tea and bread. We see a Senegalese mother cooking. People talk about the need for money as being hungry or trying to feed one’s family. And family is the most positive value in the film. In one wonderfully funny scene, Marambra, Ana, her little brother Mateo, and Uxbal all have messy fun eating melted mango ice cream. But there are other eating scenes, for example, one brief glimpse of the Chinese boss’s family eating, a scene interrupted when his male lover appears. 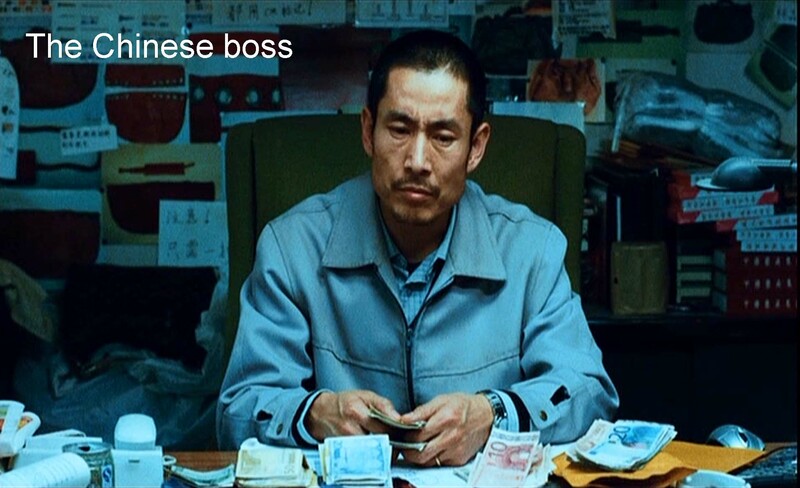 Even the evil Chinese boss cares about family. He is terrified to find that the cops have grabbed his own family. Uxbal’s great crime is the asphyxiation of the Chinese illegal immigrant families, even a mother who had babysat his own children. Parents and children, fathers and mothers—González Iñárritu also develops an idea of man and woman. The men in this film are driven by their hunger—or greed—for money. The women care for children or men and sustain families. In the end, Uxbal bequeaths, as it were, his family to a Senegalese immigrant mother Igé. (She is played by Diaryatou Daff, who nicely gives us the mute otherness of the other. A non-professional, González Iñárritu found her cutting hair in a beauty parlor.) Igé, in turn, gives up the chance to run away with the money he has given her in order to take care of his children. Women nurture. In another man-woman scene, Uxbal turns to a fellow clairvoyant, Bea, an older, motherly figure for guidance. It is she who tells him he should give his ability to speak with the dead for free. It is he, the father, the man, who charges money for it. The most pathetic of the women, though, is Uxbal’s wife Marambra, the mother of his children. She wants to keep the children, she wants to take care of them, but she can’t, because she also wants “to have fun like a whore.” She can’t give her children what they need, she says. Instead, we see her giving a “massage” to Uxbal’s brother Tito. 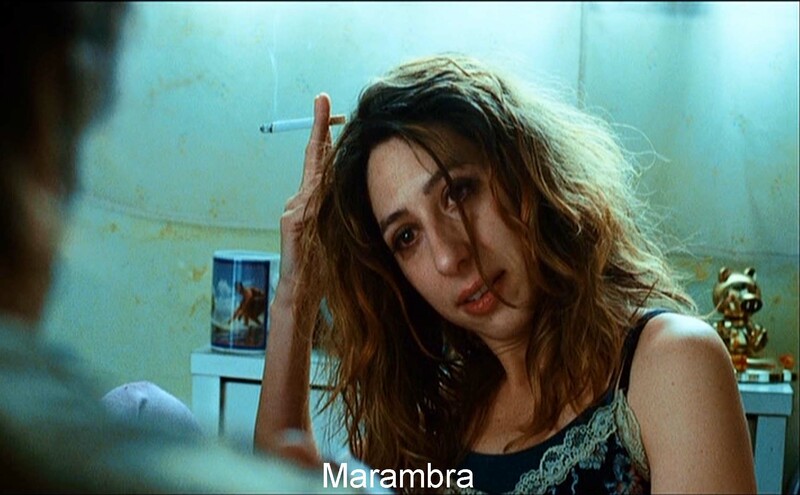 Even so, it is Marambra who takes at least one of Uxbal’s children on a promised trip to the Pyrenees, an episode that gives the film its title. As for me, this movie becomes dense with complicated perceptions and thoughts. I think González Iñárritu has achieved an altogether remarkable film, one that repays many viewings. Has he topped his earlier three successes? Time will tell, but one thing is clear. González Iñárritu is surely one of the most intellectual as well as the most earthy, even sordid, of today’s directors. People will be viewing and talking about Biutiful for a long time. Enjoying: I’ve suggested above that you view this film more than once. I think you will see all kinds of subtle touches when you do. Did you notice, for example, that the film’s aspect ratio changes? Enjoying: Another way to enjoy this film is to pose yourself the questions it leaves dangling in the air at the end, the kind of questions that avid moviegoers ask on the message board for this film in the International Movie Database. 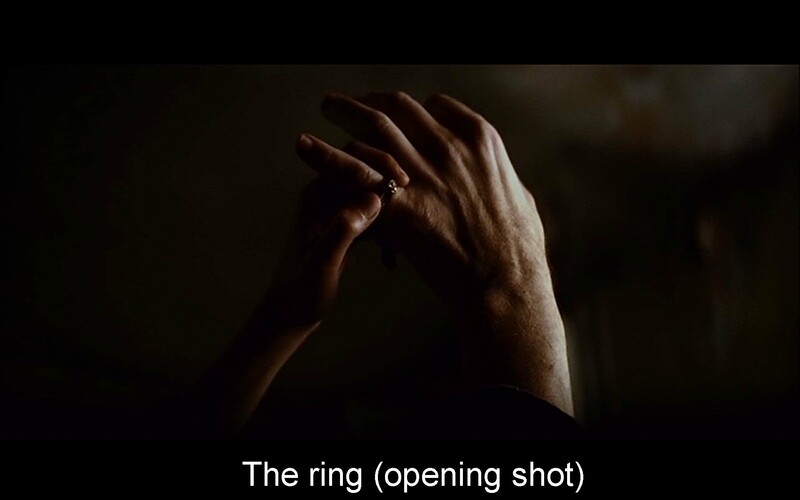 When you read of the incredible care with which González Iñárritu and cinematographer Rodrigo Prieto chose music, lenses, lights, and film stock, you cannot doubt that all these were conscious choices with the whole tenor of the film in mind. Here are some of those questions.